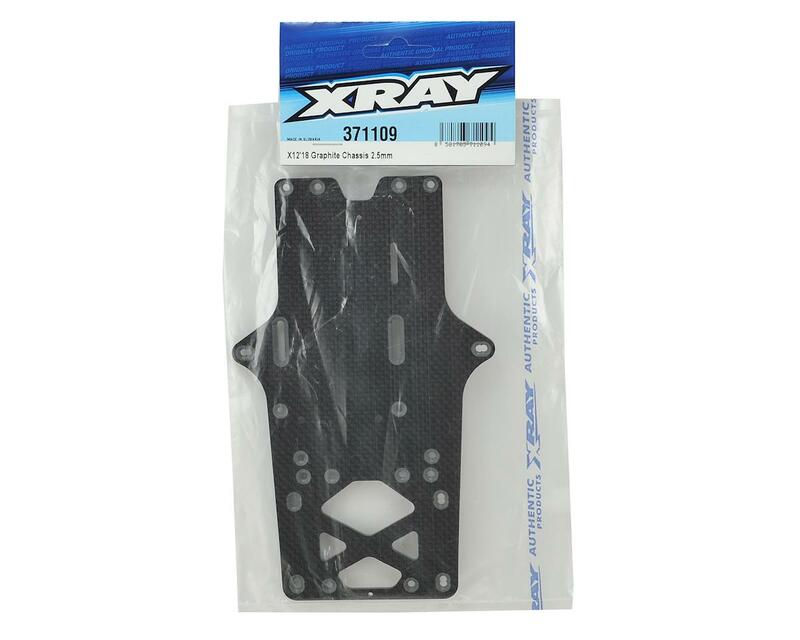 XRAY X12 2018 2.5mm Graphite Chassis. 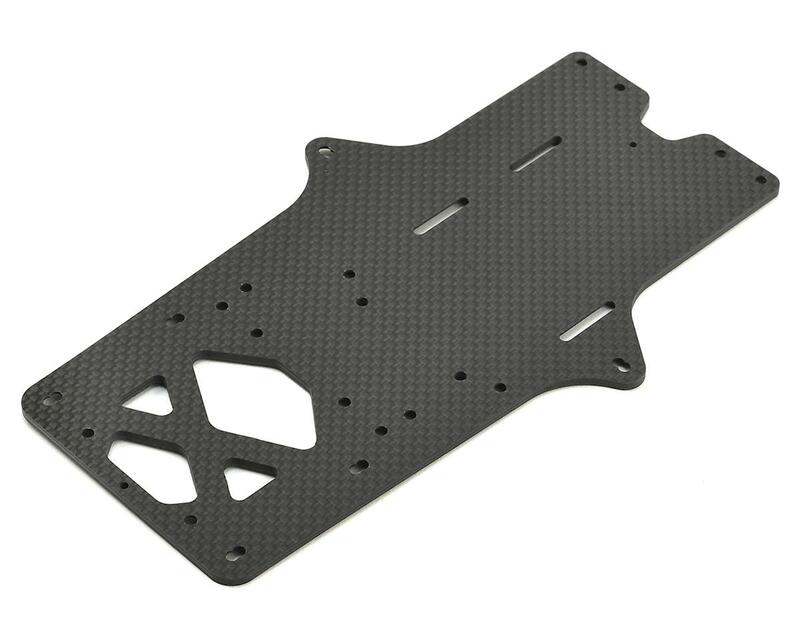 CNC-machined X12 chassis made from 2.5mm high-grade graphite material with a specially-designed compound for low-, medium-, and high-traction tracks. The graphite material is softer than aluminum, allowing the chassis to generate more traction.